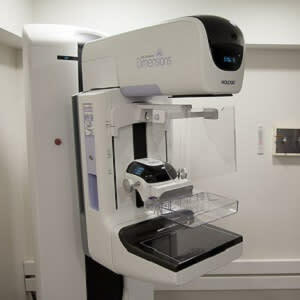 A simulation modelling study projecting trends in breast cancer mortality rates among U.S. women reveals these key findings: decreases in overall breast cancer mortality from 2000 to 2012 were associated with advances in screening and in adjuvant therapy, although the associations varied by breast cancer molecular subtype. It is not known how screening and treatment advances have contributed to recent population-level, molecular subtype-specific breast cancer mortality rates, states the background of the study, adding that no single national registry contains sufficient information to assess this progress. In this study, researchers sought to evaluate the contributions associated with screening and treatment to breast cancer mortality reductions by molecular subtype based on estrogen-receptor (ER) and human epidermal growth factor receptor 2 (ERBB2, formerly HER2 or HER2/neu). 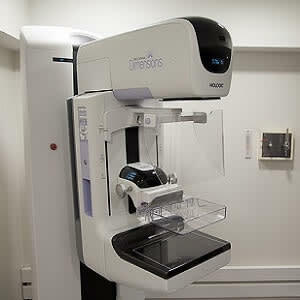 Six Cancer Intervention and Surveillance Network (CISNET) models simulated U.S. breast cancer mortality from 2000 to 2012 using national data on plain-film and digital mammography patterns and performance, dissemination and efficacy of ER/ERBB2-specific treatment, and competing mortality. Multiple U.S. birth cohorts were simulated. In 2000, the estimated reduction in overall breast cancer mortality rate was 37% (model range, 27%-42%) relative to the estimated baseline rate in 2000 of 64 deaths (model range, 56-73) per 100,000 women: 44% (model range, 35%-60%) of this reduction was associated with screening and 56% (model range, 40%-65%) with treatment. In 2012, the estimated reduction in overall breast cancer mortality rate was 49% (model range, 39%-58%) relative to the estimated baseline rate in 2012 of 63 deaths (model range, 54-73) per 100,000 women: 37% (model range, 26%-51%) of this reduction was associated with screening and 63% (model range, 49%-74%) with treatment. Among the advances in recent adjuvant therapies, advances in chemotherapy with the addition of taxanes were associated with roughly 37% of the difference in overall breast cancer mortality reduction from 2000 to 2012. Advances in hormone therapy with the addition of aromatase inhibitors had comparable contribution associated with mortality reduction. The contribution associated with trastuzumab was smaller on overall mortality reduction (15%), because ERBB2+ cases account for approximately 20% of all newly diagnosed breast cancer cases, with variations based on age and race. However, trastuzumab was associated with more than 40% of the difference in mortality reduction from 2000 to 2012 among the ERBB2+ subtypes. "Overall, the models projected that screening and treatment each were associated with continued reductions in breast cancer mortality, but, in 2012, treatment was associated with a larger relative proportion than screening of the mortality reductions overall and for all subtypes, except the ER−/ERBB2−," the authors explain. 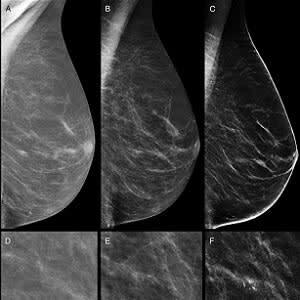 The current results support findings that advances in mammography continue to contribute to reducing breast cancer mortality. "It will be important to update the analysis when there is sufficient evidence about the benefits of tomosynthesis or other emerging screening approaches," according to the authors.